We're eating more, growing more and planting 70 varieties. 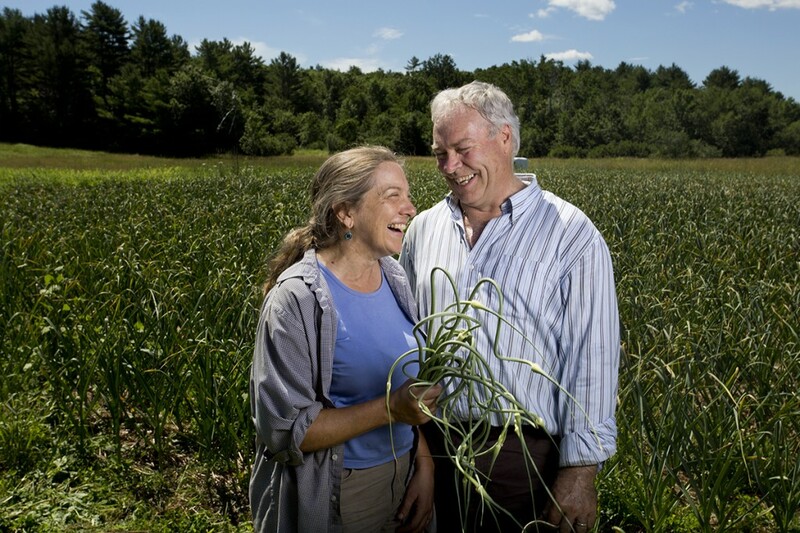 Roberta Bailey and Rob Lemire’s garlic fields at Seven Tree Farm in Vassalboro are not visible from the road, but on a hot July day, the smell wafts all the way to their mailbox. That’s the power of approximately 1,000 pounds worth of allium sativum growing in rich Kennebec River soil. In the next week or so, Bailey, one of Maine’s early garlic pioneers, and her husband Lemire, a garlic convert who often gives her a run for the blue ribbon at the Common Ground Fair, will start pulling the bulbs from the ground. 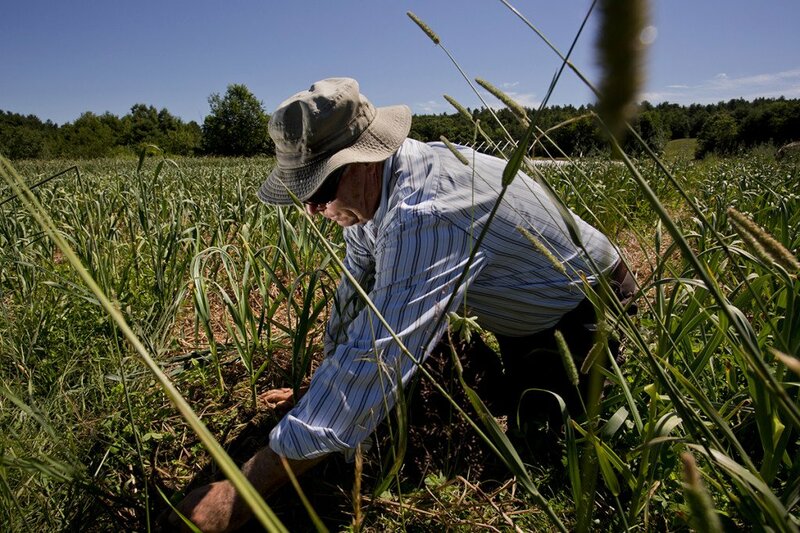 Much of the Seven Tree Farm garlic will be sold through Fedco or from the farm directly to other growers as seed garlic, fueling the next season’s worth of what’s becoming a bumper Maine specialty crop. 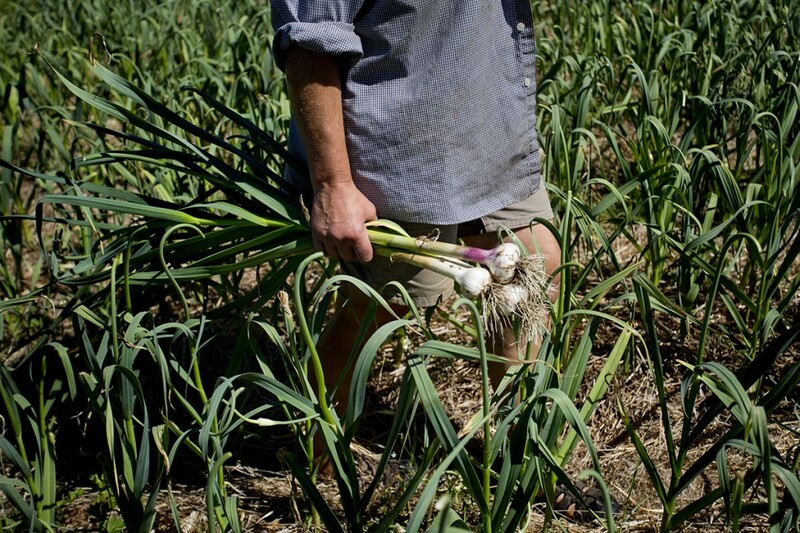 According to the University of Maine Cooperative Extension, about 100 farmers around the state grow garlic. “And that number is increasing,” said the extension’s Dave Fuller, who works with agricultural and non-timber forest products. It was about three decades ago that Bailey came across some Red Russian seed garlic at the Belfast Coop. She brought it home, planted it and was so won over by her first crop that she wrote an article for the MOFGA newsletter posing the question, why aren’t more people in Maine growing garlic? For starters, far fewer people were eating it. Until the mid-20th century, garlic had a reputation as an “ethnic” food. More Americans began adding it to their cooking in the 1930s and ’40s, but it wasn’t until the 1990s that demand for garlic really took off, tripling to a little more than 3 pounds consumed annually per American. The USDA Economic Research Service credits consumer interest in the medicinal benefits and an increased interest in ethnic foods in general for the garlic explosion. (In a 2000 report, the service suggested that interest was fueled throughout the 20th century in part by soldiers and world travelers who tasted garlic in dishes in other countries and brought their enthusiasm for it back with them). By the mid-1990s, 18 percent of Americans were eating at least one food a day that contained garlic. We haven’t slowed down. The 40-clove garlic chicken that seemed so exciting in the 1970s is old news. Now a quick visit to list-crazed BuzzFeed leads you to recipes for garlic chocolate truffles, black garlic-chocolate doughnuts or a garlic martini. In some sense you could say Maine growers are simply responding to demand. 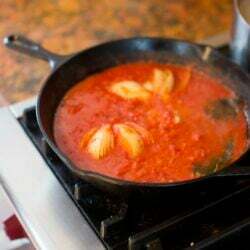 But also to a possibility only few considered in the 1970s – that an exotic-seeming allium, something that doesn’t figure in any of our traditional Yankee dishes, from chowders to baked beans, belonged in Maine soil. That’s changed. “Most people grow with a little more sense of adventure than they used to,” Bailey said. Moreover, garlic thrives here. “It’s a perfect climate for it,” said Lemire. Seven Tree Farm’s own garlic production has ramped up radically, from about 150 pounds Bailey used to grow annually in her garden near the house to the hoped for 1,000 pounds taking over the upper fields courtesy of Lemire, a retired New Hampshire middle school teacher whom she met in 2007. That’s reflective of the increasing interest in garlic around the state. Bailey doesn’t take credit for the expansion, but Mainers are now growing not just a lot of garlic (no one has an exact count) but about 70 varieties of it, Fuller said. Whether there is much of a distinction in those varieties is a matter of debate, but this week, as the first bulbs appeared at the Portland Farmers’ Market, they were advertised by variety: Leningrad, Russian Red (“small bulb, big flavor,” according to the sign). Fuller and crops specialist Steven Johnson headed up the Maine Garlic Project, a research study started in 2010 and concluded last year. It was intended to encourage more garlic production in the state among both farmers and home gardeners. But the passion already exists for those in the garlic club, he said, a passion that rivals the traditional obsession with tomatoes. “You start talking garlic with some people, and they just don’t stop,” he said. A morning with Bailey and Lemire is proof of this: These two discuss favorite varieties (Georgian Fire is tops), ponder garlic curiosities (“hers is always bigger than mine,” Lemire said) and rattle off garlic attributes like auctioneers selling fine horseflesh (“very tight wrappers,” Bailey said approvingly of Phillips, known as a Maine variety, although it originated elsewhere). Other factors in the 21st-century garlic boom in Maine and other parts of the Northeast include the interest in diversified farming in general and garlic’s increasing value as a cash crop; farmers can sell it in three forms – scapes, green (or fresh) garlic and the traditional, dried bulbs. Finally, there is what one might call the China Syndrome and how it feeds into public support for locally grown garlic. If you’d stopped at Beth’s Farm Stand, Beth and Vincent Ahlholm’s jumbo-sized farm stand in Warren this June looking for garlic, you’d have found a small stash of Maine-grown bulbs from last year’s harvest (another joy of garlic, it stores well). Attached to the label was a short cautionary note, letting the buyer know that this Maine-grown garlic was not like supermarket garlic, which is very often imported from China. Such a tiny product, such a long journey, it hardly seems probable, right? But that’s not a tall tale. China is the world’s largest producer of garlic. So much of it began coming into America at the turn of this century that the Washington, D.C.-based nonprofit research and advocacy group Food & Water Watch estimated that in 2007 the odds were 50:50 a supermarket shopper would be going home with a bulb imported from China. California has long been the traditional stronghold of American garlic production, producing 90 percent of U.S. garlic, but in 1998, after a bad (meaning very wet) El Niño year, an outbreak of rust cut the expected yield of California garlic in half. The disease seemed to settle in the soil, and in the next couple of years the crops continued to suffer. That’s when the Chinese garlic growers stepped up their exports. In the course of that decade, the cheaper Chinese imports drove many garlic growers out of business in California. But then came the 2008 revelation that goods from China, from pet food to baby formula, had been tainted with the industrial chemical melamine. This contamination killed or sickened thousands of dogs and cats and led to a massive Food and Drug Administration recall of pet food. In China, approximately 54,000 children were hospitalized. Concerns over the safety of Chinese food exports, coupled with vocal laments from California garlic growers about the hit American agriculture was taking from abroad, may have fueled interest in growing garlic as a crop in Maine. Whether it’s because of food safety or the carbon footprint involved in transporting foreign garlic, farmers say there is a definite demand in Maine for local garlic, despite the higher prices. The odds of finding Chinese garlic in supermarkets dropped to about 1 in 5 in 2009. But the U.S. still imports vast quantities of garlic from China: 63 million pounds in 2013 alone, according to the USDA’s Foreign Agricultural Service. And while the California garlic growers triumphed in lobbying efforts to get tougher duties imposed on Chinese garlic, importers have found, or tried to find, ways around that. This April, the U.S. Bureau of Customs and Border Protection revealed it had uncovered a scheme by Chinese producers to dodge American tariffs on 60 million pounds of garlic. That scandal hasn’t halted imports; Foreign Agricultural Service spokeswoman Sally Klusaritz said the United States is on track to receive just as much garlic from China this year as last. Even though the chances of getting Chinese garlic in an American supermarket are not as high as they were in 2007, they’re not inconsiderable. And for the customer who really wants to know where his garlic comes from, it’s not always easy to get an answer, even in local-crazed Maine supermarkets where the root beer may have been made just down the street. Shaw’s did not respond to requests for information about where its garlic comes from. Whole Foods in Portland has been selling local Maine scapes, according to marketing team leader Barbara Gulino, but she didn’t know if they’d stock Maine garlic bulbs later in the season. What’s at Whole Foods now is either from Argentina, or if you’re buying organic, Mexico, she said. Hannaford spokesman Eric Blom said the supermarket was not selling any Maine garlic. “But we certainly are actively looking for a supplier,” he said. “We just haven’t been able to find one that meets our specifications.” That would be volume and consistency. As for whether there’s any Chinese garlic sold at Hannaford, the answer is no. Overwhelmingly, it comes from California, he said. Bailey speculated that there may be a price issue on both ends keeping Maine garlic out of local supermarkets; selling garlic at farmers markets for prices of $10 to $16 a pound may net the grower more than the supermarkets would be willing to pay wholesale. If prices like $1 a bulb at farmers markets seem high, keep in mind, garlic isn’t cheap to grow. 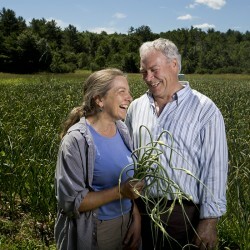 “A large-scale garlic farm in Maine is an acre,” Fuller said. “That is a big, big planting. It’s labor- intensive.” There’s the cost of the original stock (seed garlic costs approximately $25 a pound) and the inputs needed to build up the soil. For Bailey and Lemire that includes cover crops for their fields in rotation, planted with a succession of nutrient-rich plants that might include buckwheat, radishes, turnips and Crimson clover. Soil amendments might include soybean meal, fish meal, or Azomite. 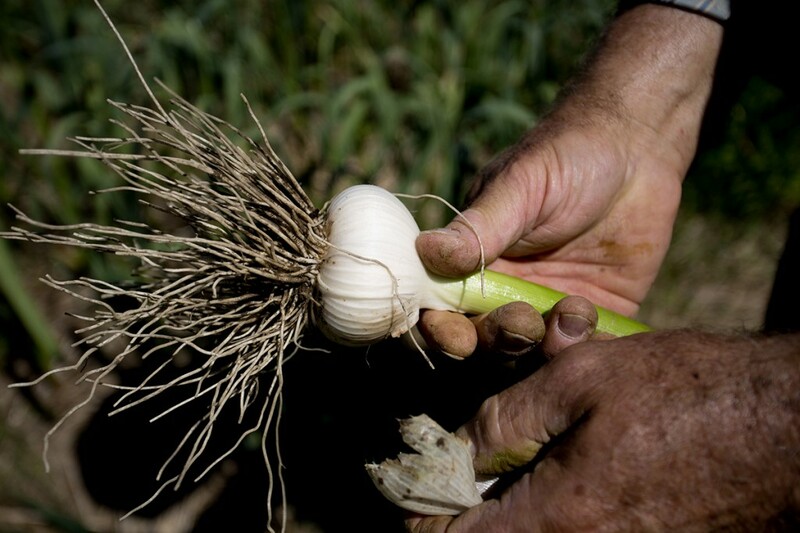 Garlic can do fine in lesser soil, but the better the nutrients, the better the bulb. Bailey and Lemire, like many others, build up raised beds with soil because garlic doesn’t do well if it sits in standing water after hard rains. “I probably put a couple of hundred dollars worth of fertilizer into the ground,” said Bruce Hincks. He’s been at it nearly as long as Bailey, 25 years. He loves the stuff. “It’s good for you,” he says, and he grows “about a mile” of garlic at his Meadowood Farm in Yarmouth. But it’s backbreaking. 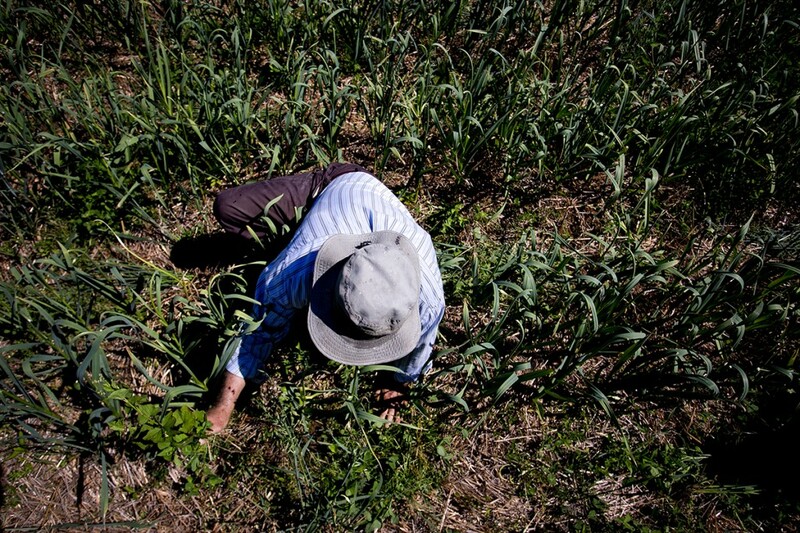 Every clove gets planted by hand. Then there is the work involved with the scapes, found only on hardneck garlic varieties. The preponderance of Maine-grown garlic is hardneck, which form fewer cloves per bulb but tend to be larger. (Softneck garlic has the advantage of lasting longer in storage.) Scapes have to be snipped, usually in the first part of July. The thought is, cutting back the scapes, or so-called flower stalks, helps focus the plant’s energy on building the perfect bulb beneath the earth. In days past, farmers would cut the scapes and let them drop to the ground to naturally compost. A few years ago, they became trendy. Hincks could sell 100 bags at the Portland Farmers’ Market. The scape’s desirability is on the wane, though, so much so that Lemire opted not to market any this year, and Hincks said if he can sell 20 bunches he’ll be doing well. He shrugged. 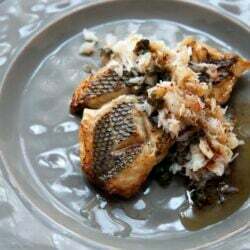 “These things go through phases.” But as he spoke at a mid-July farmers market, someone was eying the green garlic, one of those only-around-for-a-minute crops that started cropping up in recipes in recent years; it hasn’t gone out of food style yet. When the Cooperative Extension decided to launch The Maine Garlic Project, it was hoping to capitalize on the existing interest in garlic. Forty-three percent of participants had never grown garlic before. Still, it proved an easy sell in a state that loves thrift (it’s ridiculously easy to save garlic for seed) and all things heritage (garlic is always heritage; these ancient varieties planted each year throughout the centuries.) But spreading the love wasn’t the sole purpose. Because so few people had grown garlic in Maine in the past, scant information existed about cultivation and harvesting. In the end, 285 participants over a 320-mile geographical range joined in, each planting two garlic bulbs and entering data about them on an online spreadsheet. It helped the extension figure out how to advise future garlic growers. Fuller’s newest effort in demystifying garlic is a study on whether a large clove yields a larger plant (likely it does, but he wants scientific proof). That kind of information is key for the high value aspect of garlic farming, the bulb. Not every bulb makes it to market, because anyone who plans to grow garlic the next year holds back seed garlic from their harvest, roughly half of what they grew. That’s partly why farms plant so much. Frith Farm, now in its fourth year in operation in Scarborough, will soon be harvesting more than 6,000 garlic plants, distributed over 15 beds that are 120 feet long. As Maine produces more garlic, there are more reports of garlic-related diseases, which can be devastating. What nearly ruined the California garlic crop in 1998 was a pathogen called garlic rust. Here in Maine, Fuller said the primary diseases a garlic producer has to worry about are white rot, which can linger 25 years in the soil and bloat nematoad, a microscopic roundworm which impacts the soil so severely that a five-year crop rotation is needed, at minimum, to clean out the soil. From MOFGA to the extension service, the message is clear: Make sure you can trust your seed stock before venturing into garlic farming. (And never plant anything from the supermarket; it’s too risky and can harm not just your own soil, but your neighbor’s as well.) 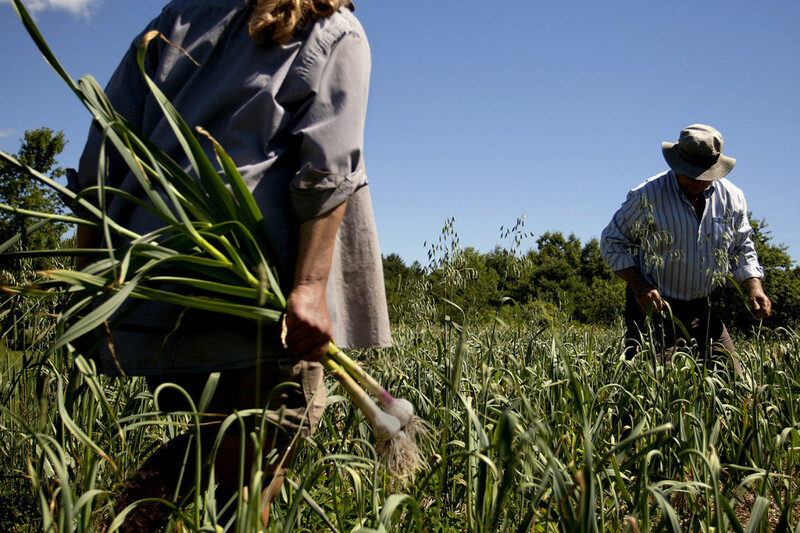 These diseases and their fallout notwithstanding, 94 percent of the participants in that Maine Garlic Project said they’d be growing it again. At Seven Tree Farm, this is old news. Lemire is already thinking ahead. “That’s next year’s garlic,” he said, pointing at the next field, filled with buckwheat. And Bailey reflects on opining about the need for more Maine garlic 30 years ago in that MOFGA newsletter. She got her wish, so much so that she thought at one point that the market would have been saturated. But when she brings her seed garlic to the Common Ground Fair, it’s all gone by the first day. “There is never enough garlic,” she said.